After arriving in Chicago for college, one of the first restaurants I ever tried on my own was Artopolis. This cafe/bakery style restaurant located on the edge of Greektown serves some classic greek cuisine while appealing to college students with great lunch specials. After a long absence from this restaurant, I decided to go back and give it a try. I found the atmosphere to be very welcoming with a bright dining area, a friendly staff, an efficient set up, and a very appealing bakery. There were so many colors from all the fresh fruits that topped the greek pastries. In terms of the food, I decided to try their Artopitas, which are unique twists on the classic spanakopita. Unfortunately, I encountered a very oily meal which had great flavors, but was too greasy to be appetizing. In fact, you end up feeling nauseous after eating just half of an artopita. For that main reason, I decided to give them a 3 mile rating. I know they have better food, but based on these two dishes... I believe I am being generous with 3 miles. My first choice was the classic Greek dish, spanakopita. This puff pastry based pie is filled with spinach, onion, dill, and plenty of feta cheese. The pie is about 4 inches in diameter and perfect size for lunch. The meal comes with either a side of potato salad or pasta salad, which I opted for neither. I bought the spanakopita as an a la carte item for a reduced cost. Overall, the flavor was spot on... it had a good amount of feta cheese which gave that tangy taste to it. Unfortunately, the entire pie was one of the greasiest meals I have had in a while. In fact, after lifting up on the spanakopita, it left an oil imprint on the dish and was very unappetizing. Somehow they need to make this less oily. For the meat option, I decided on the Kotopita, which is a similar puff pastry base stuffed with chicken and mozzarella cheese. It also has a plenty of artichoke, tomato, and a little bit of fennel. I was disappointed with the amount of chicken inside the kotopita. It was almost non-existent. There was much more artichoke than anything else... I actually thought I bought an vegetarian artopita. The same oily concept carried to this dish. Again, it was unappetizing after just a couple of bites. The flavor was rich, but that amount of oil really hurt the dish. - Parking is difficult in Greektown. Check about a block west of Halsted on Van Buren or Jackson St. There are also a couple 15 minute flashing zones near the corner of Halsted and Jackson. 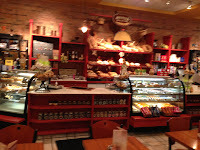 - The bakery section serves tasty, authentic Greek desserts. Definitely check them out. 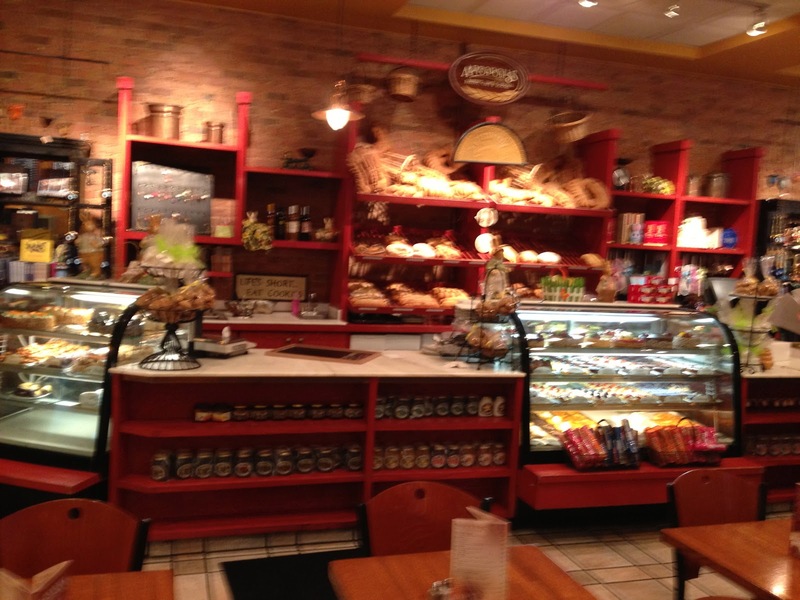 Just a picture of their bakery selections! - The meat/veggie Artopitas are extremely oily. Be careful.